Geothink and the Center for Government Excellence (GovEx) at Johns Hopkins University launched a first-of-its-kind Open Data Standards Directory today that identifies and assembles standards for open data shared by governments. Geothink and the Center for Government Excellence (GovEx) at Johns Hopkins University launched a first-of-its-kind Open Data Standards Directory today that identifies and assembles standards for open data shared by governments. The new directory provides guidance on the best format for sharing specific types of data to ensure its interoperability across local, regional and national jurisdictions. The site began as a Geothink project led by McGill University student Rachel Bloom and was supervised by Geothink Head Renee Sieber, an associate professor in McGill University’s Department of Geography and School of Environment. For her undergraduate honors research in the Department of Geography, Bloom developed a tool for searching and querying relevant open data standard for a diverse range of municipal open data. In partnership with GovEx, Julia Conzon and Nicolas Levy as McGill undergraduate students contributed to the project via visualizing and researching the directory. 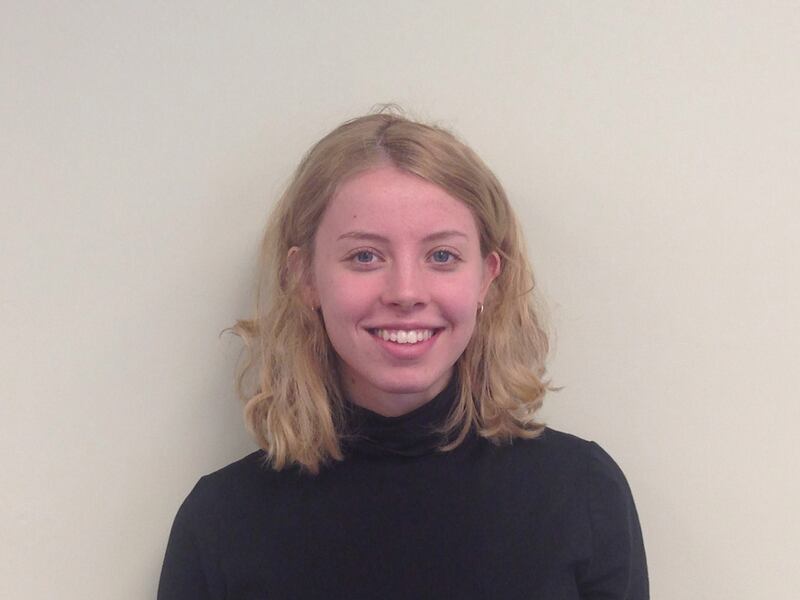 Former McGill University student Rachel Bloom initiated the Open Data Standards Directory as her undergraduate honors project. This initiative has been further developed by The Center for Government Excellence (GovEx) at Johns Hopkins University in partnership with Geothink and members of the open data community. It now represents the first ever international data standards directory. It helps governments provide data in formats that will most effectively support informed decision-making and the provision of services. The project emphasizes a collaborative approach that opens a two-way dialogue with municipalities. This allows its creators to better understand what is valued within the decision-making process and to encourage the adoption of specific standards for how open data is released. Users around the world are able and encouraged to contribute additional information and update existing standards. Historically, city governments and others have faced several challenges in dealing with open data sets. Among these challenges is a lack of agreement and coordination on how data sets should be structured to best serve the public that are intended to be able to access them. The establishment and organisation of common standards can address this problem by encouraging practices that ensure data is accessible and usable by citizens. It can also ensure that datasets released by differing municipalities will be interoperable. Currently there are over 60 standards on the directory from around the world and in multiple languages. GovEx hope to expand these efforts to continually broaden its range of standards, languages and user-bases. To find out more about the open data standards directory project, you can listen to Geothink’s podcast on the initial project, catch an update on GovEx’s latest Datapoints podcast or visit the GovEx Beta Data Standards Directory website. If you have thoughts or questions about the article, get in touch with Sam Lumley, Geothink’s newsletter editor, at sam.lumley@mail.mcgill.ca. This entry was posted in Geothink News, In The News and tagged andrew nicklin, geothink students, GovEx, jean-noe landry, open data, open data standards, open data standards directory, open government, Open North, Rachel, Rachel Bloom, Renee Sieber, standards on November 17, 2017 by Sam Lumley. Geothoughts is back! In this episode of the podcast we sit down with two Geothink research partners, Open North and Ajah, to talk about the challenges they face in Canada’s current open data and open government environment. 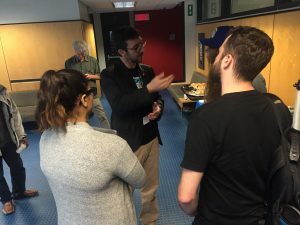 Jean-Noe Landry (of Open North) and Michael Lenczner (of Ajah) are some of the original advocates for open data in Montreal and continue on their mission to bring positive change and innovation to government. 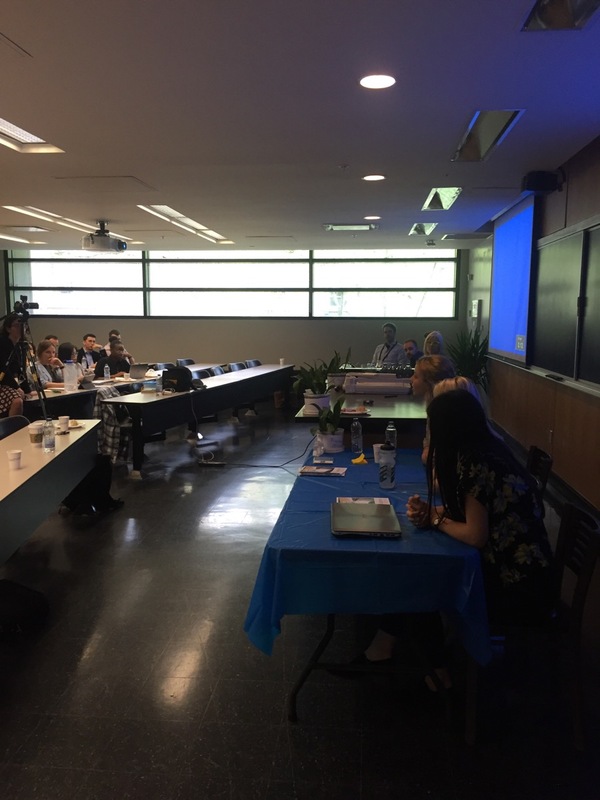 Our guests spoke of their background advocating for open data in the (now closed) non-profit, Montreal Ouvert, and the current challenges they face in their respective organisations. They stressed the need for well-defined missions for advocacy, and for continued support from government and non-governmental funders. This entry was posted in Geothoughts Podcasts and tagged Ajah, Geothoughts, Open North, podcast on November 25, 2016 by Geothink. 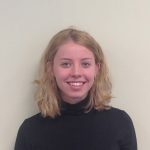 As she is now embarking on a Master’s degree, I interviewed Paulina Marczak (former Geothink student) to reflect on her four month co-op with Geothink partner, Open North. What have you been up to since your internship at Open North? After Open North, I did another co-op in the fall term with Dr. Derek Robinson under an NSERC USRA [Natural Sciences and Engineering Resource Council Undergraduate Student Research Award] grant, where I looked at variations in aboveground vegetative carbon storage across different spatial resolutions within Southwestern Ontario. I just finished my undergraduate degree at the University of Waterloo. My undergraduate thesis looked at landscape configurations with wetlands in the boreal plains and asked: Is there a relationship between geology and wetland landscape configuration? Right now I have just begun pursuing a Master’s degree in Geography at Queen’s University in Kingston. So I went into another sub-field still related to geography, but diverging from open data. Yes. I wanted to go into climate change after my undergrad, particularly through GIS and remote sensing. 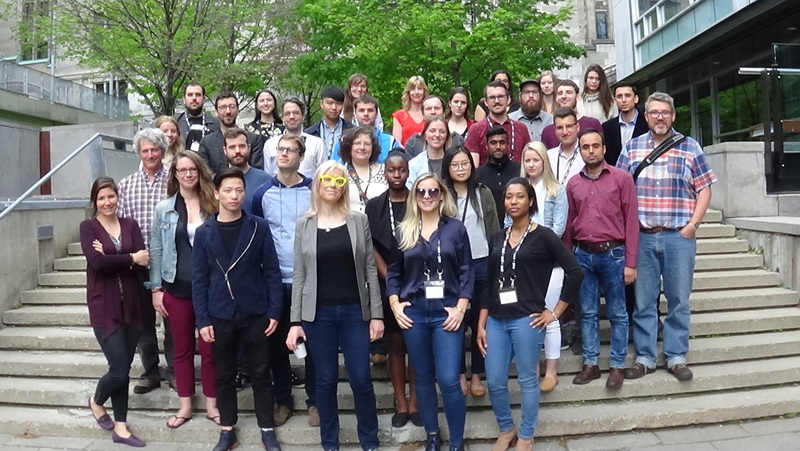 However, this summer I had the opportunity to work for the Canadian Open Data Exchange (ODX) and got to help develop their plans for commercialization of open data. They wanted someone who understood the value of open data. What do you think you got out of your time at Open North? I learned a lot. I started out from zero experience with open data. You know, it’s easy to fall down the rabbit hole of open data and explore one particular aspect of it, like metadata, without even touching another aspect Being able to co-author white papers that contribute to a global-scale initiative, and interview people from around the world, that was a really valuable and unique experience. What was it like working for a non-profit? James, Stéphane, and everyone at Open North were really great. It was different because all my previous co-ops were in government, federal and municipal. They were very structured. Open North was smaller, and it required you to be more. They want you to be a part of that team. They make you feel like you are a critical component of the team, not to mention the valuable mentorship they provide. Infomediaries, they prod governments, they speak on behalf of and give a voice to the people. That’s why I think their work is impactful. Working at Open North also gave me the opportunity to attend the Canadian Open Data Summit 2015 in Ottawa, where I got to meet various members of the open data community and speak to panelists. What skills did you bring from Open North to your current position? Being able to critically research, and experience with technologies such as APIs and R (statistical software). Most important is writing. At Open North I learned to write on a deadline, such as our OGP [Open Government Partnership] white papers, and I also learned about academic writing from Professor Renee Sieber. It’s been interesting as a new Master’s student. I was talking to a librarian here in Kingston and they were interested in the idea of open data, but were surprisingly satisfied with the very restrictive data agreements that are currently in place…there is more work to be done on the advocacy side. On the other hand, I was able to talk to the City of Kingston and they are about to roll out a new open data initiative, per Council approval. From my interactions with the librarian, I realized that I could talk about this topic now and I had some idea of how things should be done. In fact, they were looking to me for advice, which was a new milestone for me. It sounds like you may be interested in advocating for open data in your new environment? Sure. I can talk about it, but I don’t feel I have the capacity and knowledge to spearhead it. But I do feel it is my responsibility to inform people if they don’t know what open data is or want to learn about some of current issues surrounding open data these days. Do you feel more confident in talking about open data now? Yes, but I don’t feel like I’m the expert. I feel like I’m an apprentice. Constantly learning. 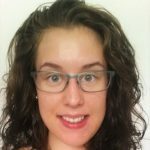 This entry was posted in In The News and tagged geothink students, Open North, paulina marczak, University of Waterloo on October 3, 2016 by Geothink. Open North has quietly released two reports on open data over the past year. In case you missed either report, over the last year Open North has quietly put out an inventory of open data globally and, in a separate report, recommended baseline international standards for open data catalogs. The first report is entitled Gaps and opportunities for standardization in OGP members’ open data catalogs while the second is entitled Identifying recommended standards and best practicesfor open data. Their work was completed as part of the Open Government Partnership (OGP) Working Group, a group that aims to support governments seeking transparency through open data. Both reports aim to help the 69 countries in the partnership to improve their ability to share open data by standardizing how it’s made available. The first report, which inventories open data in OGP’s member countries, notes that most members’ open data initiatives consist largely of open data catalogues. To assess each of these different catalogues, the authors wrote automated scripts to collect, normalize, and analyze them. This process allowed them to set a baseline across countries and identify gaps and opportuni­ties for standardization. “The analysis simply states the choices that OGP members have made with respect each area for standardization; it makes no judgment as to whether these choices are best practices,” they write in laying out the objectives for the report. In the second report, the authors address a specific research question: “What baseline standards and best practices for open data should OGP members adopt?” But first they diagnose the problem open data faces globally without any standards. The majority of the report then seeks to address these problems by outlining baseline standards and best practices for open data catalogs, while taking into account the dif­ferences between jurisdictions that make the global adoption and implementation of standards challenging. In particular, the report concludes with 33 recommendations that member countries should undertake including that governments should provide their agencies a list of acceptable data formats or that they should avoid file compression without good support for it. To find more of our previous coverage about Open North’s work on open data, check out our previous Geothink.ca story here. This entry was posted in In The News and tagged inventories, open data, open data standards, open government partnership, Open North, reports, Research Theme 2: Spatial Authenticity Accuracy and Standards, standards on February 12, 2016 by Drew Bush. 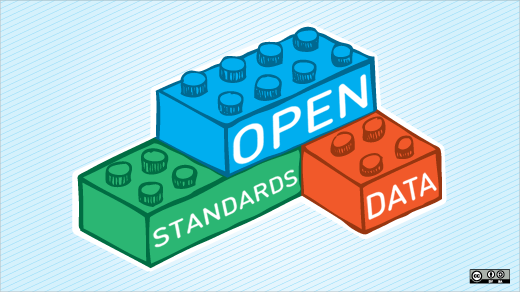 Open data standards are the subject of a new OGP report (Photo courtesy of opensource.com). Open North’s James McKinney, Stéphane Guidoin and Paulina Marczak completed an inventory of global open data standards last week that seeks to establish a global viewpoint on the subject and identify any missing pieces. Their work was completed as part of the Open Government Partnership (OGP) Working Group, a group that aims to support governments seeking transparency through open data. A myriad number of findings result from their analysis. In particular, they found OGP members have no common structure to their catalogs, a need for a common vocabulary for metadata (or data about data), and that there are significant problems with the metadata used to specify licensing in some countries (with “8 out of 24 catalogs, the licenses of over 10 percent of datasets are either not specified or underspecified”). OGP’s Working Group consists of four streams that include Principles, Measurement, Standards and Capacity Building. Each consists of leads from the government, private and nonprofit world who work to identify and share practices that help OGP governments implement commitments and develop more ambitious and innovative open data plans. McKinney serves as the lead for the Standards theme which promotes the use of open data standards to improve transparency and to increase the interoperability of open data activities across multiple jurisdictions. His organization, the Canadian non-profit Open North, creates online tools for civil society and government to educate and empower citizens to participate actively in Canadian democracy. 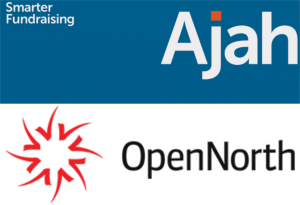 Open North is also a Geothink partner. This entry was posted in Report and tagged geothink partners, OGP, open data, open government partnership, Open North, standards on March 20, 2015 by Drew Bush.